The good news is these are all due out in the spring. So, not really that far away at all. The bad news is one of them is only coming out in Australia. When, oh when, will the American publishers tune in to the awesome that is Kirsty Eagar? I refer you to my review of Raw Blue. All three look interesting to me, and I'll be searching them out come springtime for sure. After falling hard and fast for Raw Blue, I am quivering with anticipation over this upcoming release. As with its predecessor, this one looks like it involves surfing and a girl finding solace in the sea. Unlike its predecessor, it also has Gothic mystery elements. Uh-huh. Where do I sign? Due out (in Australia) April 26th. Another pretty dress, I know. Apparently I am still prey to the allure of the ruffles and the endless reflections. Ah, well. You can only grow up so fast. This is a dystopian. And though it does sound a bit like Princess Academy meets The Bachelor, I'm intrigued by the caste system and the selected living in a palace under rebel assault. This one is popping up under post-apocalyptic, steampunk, and young adult labels alike. It's also garnering rave reviews from the likes of Richard Russo and Justin Cronin. Featuring mechanical butterflies and a society of the damaged versus the pure, I'm cautiously optimistic. Ah, I'm such a sucker for a pretty cover, too. 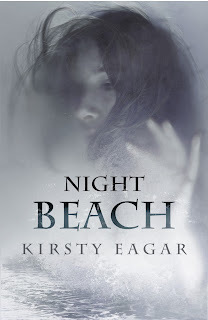 I'm really looking forward to Night Beach; I have complicated feelings about the other two titles, hah. Love the "icy beauties" title, btw! Wendy, lol. Understood. NIGHT BEACH I can't wait for. What is it with books coming out years, yes, years, before us in Australia? It makes me crazy! These covers are all intriguing and now I'll have to check them out and most likely add them to the old TBR shelf. Jenny, sigh. It's maddening sometimes, isn't it? The Night Beach looks amazing. i still have to read Raw Blue, but I've heard so many great things about it. I had the exact same reaction when I heard about The Selection, but it does sound good and that cover is gorgeous! Alexa, YOU MUST READ RAW BLUE. That is all. Really looking forward to Night Beach as well! It has such an atmospheric cover. Holly, hehe. We must covergush every now and again. Tired of girls in pretty dresses but up for anything with a pink sparkly cupcake! I actually received a review copy of Pure, but I haven't read it yet. It's still available from NetGalley.com if you want to request a copy of it and review it. It won't be a physical copy, but at least you wouldn't have to wait! Jonathan, ooh. Luck you. I did see it up on NG. Thanks for reminding me! 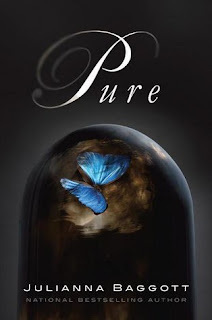 I just got Pure on NetGalley, so I am looking forward to that. Of course, I am gaga over anything Eagar - I really adore the Night Beach cover. Yes, when will publishers learn about the awesome? To fishpond I go until then! bb, let me know what you think, will ya? I'm curious. And, yes, anything Eagar is fine by me. 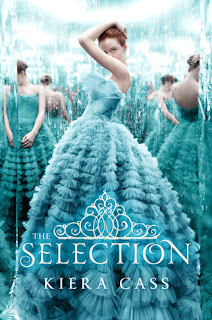 Those are such beautiful covers! Very exciting. I'm currently reading Pure; it took me a couple of chapters, but I'm starting to really get into it. The people/plants/animals in this world are bizarre. Melanie, hm. Bizarre worlds can be good.